As someone who loves and lives for holiday festivities, especially the mass celebrations our Lao community holds for the new year come every April, I’m realizing more and more of what is missing and what it could become. If you had been following the news through the grapevine or simply from your relatives who had been gossiping about it, you would have heard about the constant legal and moral battles that plagued board members, novices, and monks of Wat Lao Minneapolis, Farmington, and Monticello. Reading it in the local media made it an even more sad sight to see unfold (http://www.startribune.com/local/south/121422009.html). These were the temples that hosted their annual festivals that the community had grown to love. Then they suddenly stopped hosting last year. What happened to this familiar sense of community? How can the politics, money, and power of the few who are suppose to uphold the spiritual harmony and humbleness of the temples break into what drives divisiveness and imbalance in our community? There needs to be a revamp of energy and unity in our community and one of the best ways to engage everyone in that common goal that is to re-envision our Boun Pi Mai (Lao New Year). One to remember. Not just any usual celebratory event. After all, it’s the year of the dragon. Let’s dare to be bold and go all out. There are very few Lao organizations in Minnesota who had been serving our community since the beginning of the wave. With the help of a few key leaders and organizers, the Lao Assistance Center of Minnesota (LACM) and Lao Advancement Organization of America (LAO America) has been holding it’s righteous place in cultural preservation and social services. Every Lao person knows who runs these orgs and what they do. 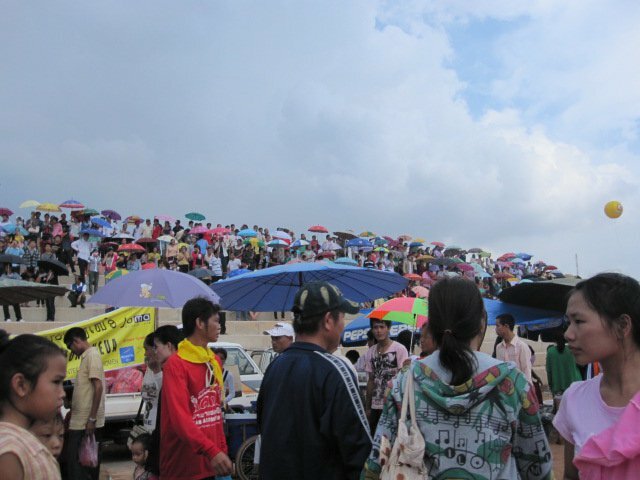 But does every Lao person actually visit these places and engage in the events they have to offer? This year, with the reorganization of LACM’s leadership board and strategic planning underway to promote better communication and engagement, we’re planning on hosting a new year event that the community will one day say and know it to be “THE annual new year celebration” to go to in MN. 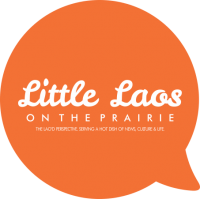 We hope to redefine the meaning of community connection for Lao Minnesotans once again and to bring a piece of Laos back to Minnesota’s little Laos. We’re calling all new and old leaders to come together so we can make this event happen. If you’re interested in A) joining the planning committee for the LACM Lao New Year, B) joining the committee for LACM development and communications, and/or C) applying to be an LACM board member; contact Chanida at c.phaengdara@gmail.com. Or if you want to lay low with a smaller role, send me any creative ideas or ways you want to be involved in this year’s event. We need performances, volunteers, organizers, etc. The event has been reserved at Crystal Community Center for Saturday, April 14, 2012. In the meantime, check out how the motherland usually throws their new year celebration: http://www.youtube.com/watch?v=Rr8mpRdv2LQ vs our Minnesota style at the temple: http://www.youtube.com/watch?v=Usz8dvCXkXE. Quite the difference right? Can you please tell me which MN Lao temple been closed? & can u tell me if it is true that there is going to be a Lao temple in zimmerman? As far as I know, only the temple Wat Minneapolis is closed. I have heard that there’s a temple in Zimmerman, but I’m not sure if it is a Lao Wat or what the name of it is. I will research and get back to you on that last question. Thanks for your comments!